A student recently came into my office at the Borough of Manhattan Community College, where I am a mathematics professor. A single mother with a 5-year-old daughter, the student told me she works 22 hours each week to make ends meet for her small family. But she was also taking 16 academic hours that semester. This could be solved by including a question on the FAFSA that asks each student for the age and number of their dependent children, and then requiring colleges to use the data to automatically include child care expenses in the financial aid calculations of every student-parent. But even with these changes, there would likely be little impact on the lives of students unless financial aid resources are increased so that aid packages actually meet student need. As things stand, 70 percent of college students have unmet financial need, even after taking into account their expected family contribution and all federal and grant aid awarded. When Pell Grants were first established, they were large enough to meet all student financial needs at public two-year colleges (and over three-quarters at public four-year colleges). But cost increases and cuts to the Pell program mean that the grant now covers less than a third of the average cost of attending a public four-year college. In addition, many states have systematically underfunded their college aid programs and now no longer award aid to many qualified students who depend on it to complete their degrees. The case of student-parents makes clear how counterproductive it can be to give students some money for college, without actually giving them enough money for college. The result is that these students must work more hours and reduce the actual time they spend on college work, which results in slower degree progress and higher dropout rates, essentially squandering the investment that they and taxpayers have made in their educations. Even if changes to on-campus child care and financial aid were to cost more upfront, they could actually save taxpayers money in the long run. The ASAP Program, which was started at the CUNY community colleges and has been increasingly replicated nationally, is one of the most expensive programs on a per-student basis, but has produced a significant net savings to taxpayers because it has reduced time-to-degree and the number of dropouts. Improving college outcomes for student-parents also has the potential to pay off even more than for non-parents, because it also improves the lives of their children. Parents are often motived to return to college in order to provide for their children financially or to set a good example. Increased parental education can improve both the educational outcomes of their children and their own parenting behaviors. Students who earn a bachelor’s degree in America earn 68 percent more and are half as likely to be unemployed as those students with just high school diplomas, so their families are less likely to be in poverty. The evidence is strong: Improving the college outcomes of student-parents could directly decrease educational and socioeconomic stratification in the United States. This story about child care for college students was produced by The Hechinger Report, a nonprofit, independent news organization focused on inequality and innovation in education. Sign up here for our higher-education newsletter. 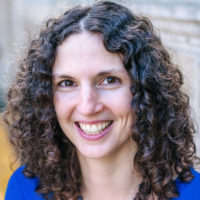 Claire Wladis is a mathematics professor at Borough of Manhattan Community College, where she also works in education research. This is a great article highlighting some of the issues student parents face. I am writing because I am the Director of a program at Marian University in Fond du Lac, Wisconsin called the Working Families Grant Program and I wanted to share a little bit about our program to contribute to the ongoing discussion regarding single parent students. The Working Families Grant Program has exceeded expectations, as demonstrated in the positive outcomes realized by participants including a 89.44 % graduation rate since the inception of the Program in 2002. This success is due in part to the collaborative team approach and the mutual commitment to assist participants in their quest to rise above poverty by achieving a higher education.